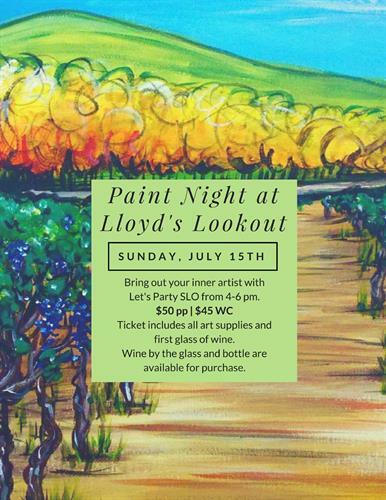 Join us for a fun evening full of painting a vineyard while enjoying a glass of your favorite Calcareous wine! All materials and guidance are included, as well as your first glass of wine. Wine by the glass and by the bottle will be available for purchase.